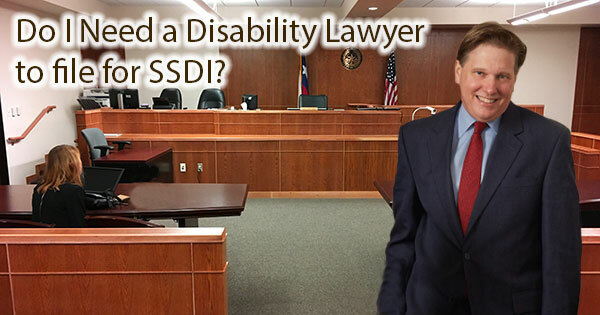 Do I Need a Disability Lawyer to file for SSDI? Appealing a termination of disability benefits is complicated and confusing and is best done under the guidance of an experienced disability attorney. If I file a claim for disability benefits do my chances improve with the assistance of an experienced disability lawyer? Filing for Social Security Disability benefits is a complicated and time-consuming process. Many applicants do not fill out the application correctly or fail to submit the proper medical documentation. Statistics show that an applicant who is represented by legal counsel is more likely to have their claim approved and that the process takes less time. How exactly does a disability attorney improve an applicant’s chances for approval of a claim? There are many benefits to hiring a disability attorney. Disability attorneys are experienced in the entire process of filing for Social Security disability benefits. The initial paperwork is long and requires detailed information about the applicant’s medical condition, education, work history, limitations and capabilities. An attorney can guide you in presenting your case in the most favorable manner so that your claim will be approved or they can complete the paperwork for you. If a disability claim is not approved on initial application, the claimant will have to go through the appeals process. Though legal representation is not required, appearing at a court hearing before an administrative law judge without an attorney can hurt an applicant’s chance of success. If you represent yourself and lose, you may have to reapply all over again. Disability attorneys are experts in the reconsideration and appeals process; a disability attorney can craft your case to reverse a denial and present your case to the ALJ. Disability attorneys are thoroughly experienced in Social Security’s filing and appeal requirements and will not miss a deadline. Disability attorneys understand the medical evidence needed to prove an applicant is disabled and gain approval of a claim. They can determine if your medical condition meets the criteria of an impairment listing in the Social Security Bluebook or provide evidence that you are disabled even though your medical condition does not meet any listing’s requirements. They will review a claimant’s file and determine if any other tests are necessary as well as ensure that irrelevant information is not submitted. An administrative law judge may become frustrated if they have to read through many pages of information that is not important to the claim. Disability attorneys are skilled at communicating with doctors and other medical providers. Some doctors may be unwilling to assist claimants because they are unfamiliar with the filing process, too busy to fill out forms or have personal opinions about SSDI in general that make them reluctant to assist. A disability attorney can address their concerns in a professional manner. Disability attorneys are familiar with the administrative law judges and know how they conduct hearings. A disability attorney can draft legal documents summarizing your case and may even get a claim approved “on the record” (a decision approved without a hearing). Disability attorneys know how to handle “bad facts.” A bad fact is any information that might harm an applicant’s case, such as a doctor’s opinion that an applicant is not disabled or that an applicant failed to follow a treatment plan consistently. A disability attorney can minimize the damaging impact of any such information. Disability attorneys will cross examine a vocational expert and can counter any negative testimony a vocational expert offers. This requires a complex understanding of different jobs and job skills and how they are categorized. the vocational expert used the applicant’s past work history improperly to determine jobs the applicant can still perform. Fees for disability attorneys are regulated by federal law and typically amount to the lesser of 25% of disability back pay or $6,000. If a case goes to Appeals Council or federal court costs may increase, but fees are only charged if you win your case. When is the best time to hire a disability attorney? The earlier, the better. Legal representation will ensure that your claim is filed properly and may speed the process of receiving the benefits you are entitled to. 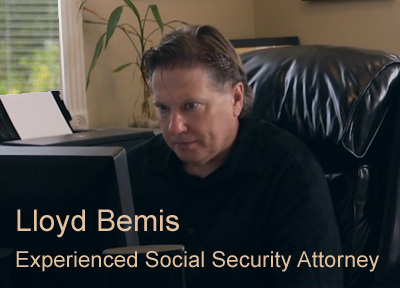 Do I Need An Attorney to Apply for Social Security Disability Benefits?